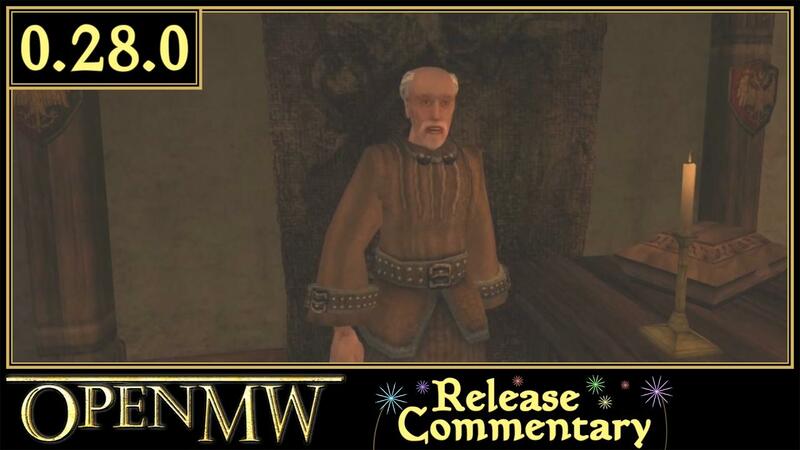 The OpenMW team is proud to announce the release of version 0.28.0! Grab it from our Downloads Page for all operating systems. This behemoth of a release includes many large features, such as Combat AI, Magic, Vampirism, terrain bump/specular/parallax mapping, and many other things. There's also a heap of bug fixes, many thanks to our relentless developers! Omg. Keep up the good work! Surely I am missing something here, what is the point of doing all this? Morrowind runs perfectly using wine. Could someone please explain me? Quote from Me Surely I am missing something here, what is the point of doing all this? Morrowind runs perfectly using wine. I see thank you very much for your kind explanation. I'll keep an eye on this project!